See the full range of bath and beauty gift products at Shawbury Garden Centre. ...for a bath to dream of far away places. Enjoy a luxurious bath with finest dead sea salts and dried mango powder fragranced with the perfume of Thai limes and mangoes. Aromas of ripened mangos and hot sultry evenings make for a relaxing and exotic bathing experience. 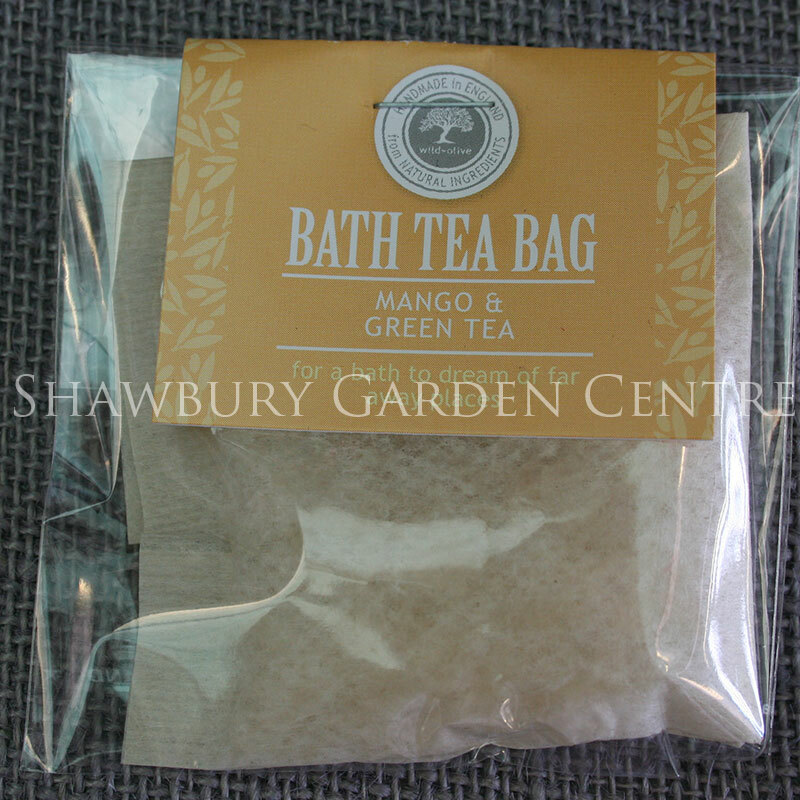 If you would like further information about Wild Olive 'Mango & Green Tea' Bath Tea Bag, please contact our garden centre at Shawbury just outside Shrewsbury in Shropshire, by calling 01939 251315 or emailing.